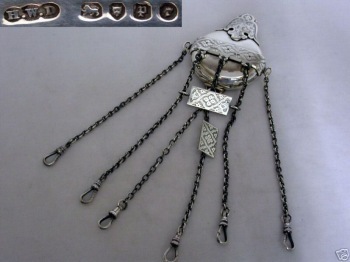 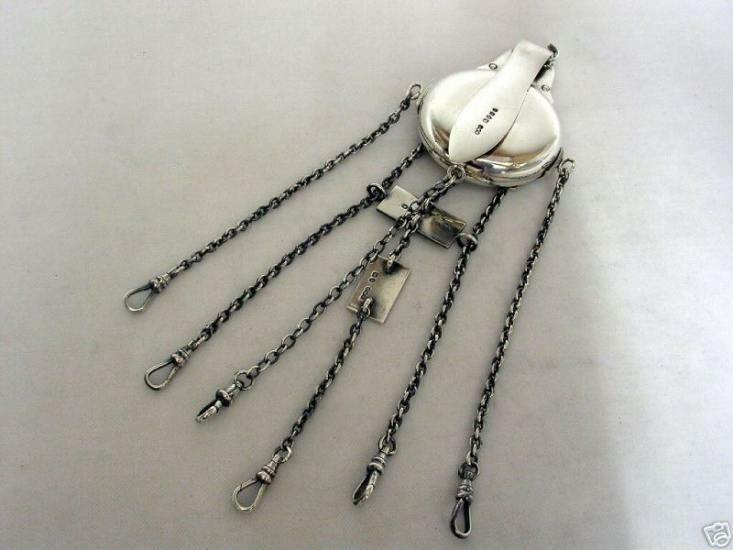 The silver chatelaine is an ornamental clasp worn in daytime at a woman's waist, attached to a belt of girdle with a hook-plate from which are suspended several (usually five but up to nine) ahorts chain terminating with rings of swivel catches to which are attached various small objects for dayly hosehold use. Chatelaines were made of silver, gold, pinchbeck, cut steel and were ornamented with enamelling, beads, beaded tassels, and sometimes medallions of Wedgwood's jasper. 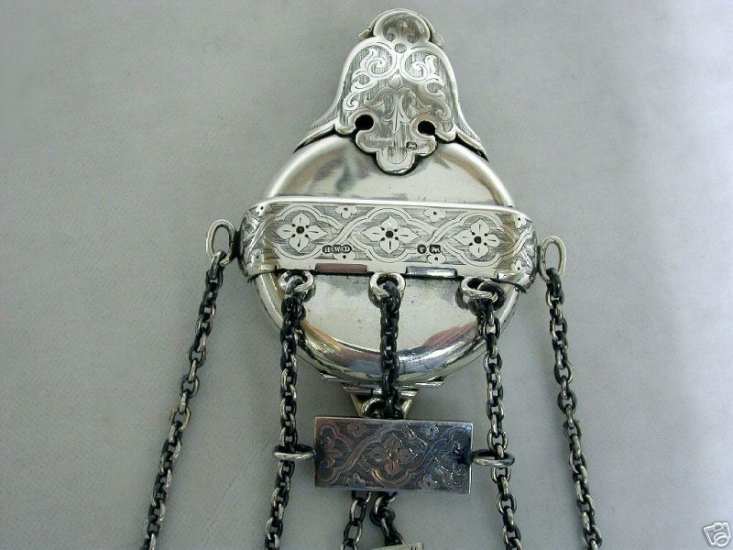 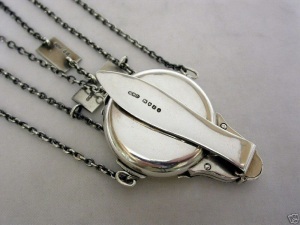 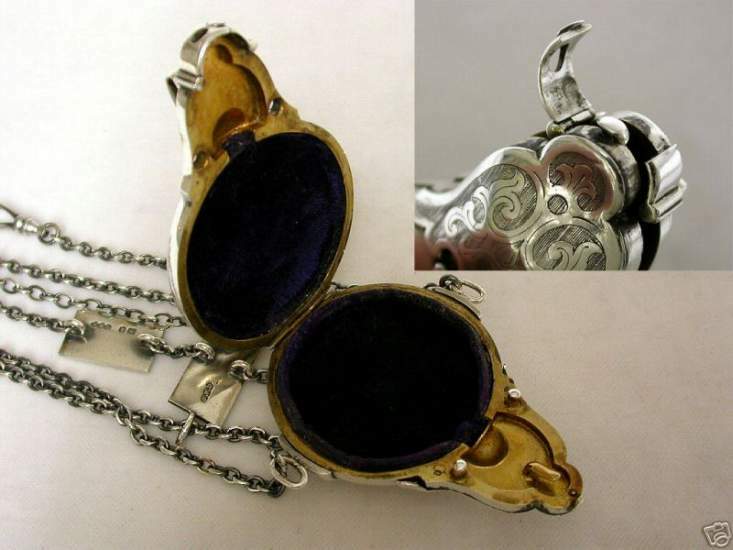 They came into use in England in the 17th century and were very popular in the 18th and 19th centuries, but c. 1830 declined in use as fashionable jewelry and were worn only for utilitarian purposes. 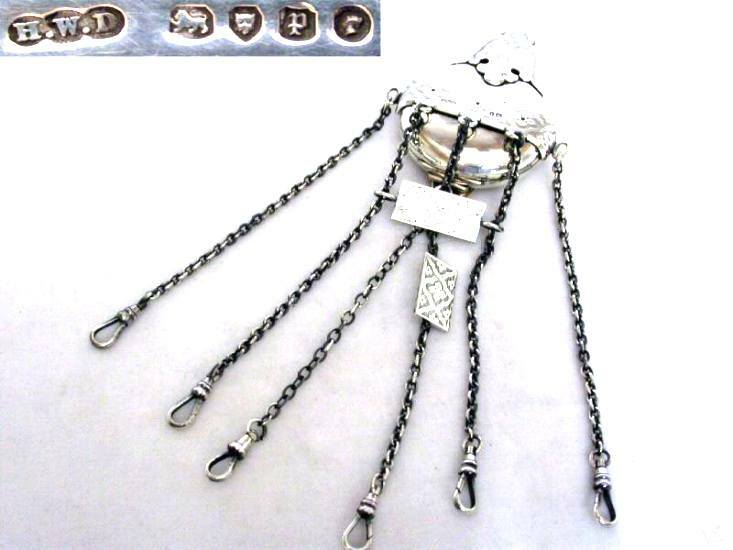 This is a Victorian silver six chains chatelaine made in London in 1870 by silversmith H.W.D.